Well as someone who is 20-something single and childless I’d like to tell the “New Parent Crew” to rock on with your bad selves. Y’all keep filling my news feed with your small being’s pictures and constant status updates of their new life achievements. Child birth is hard… well from what I’ve heard. 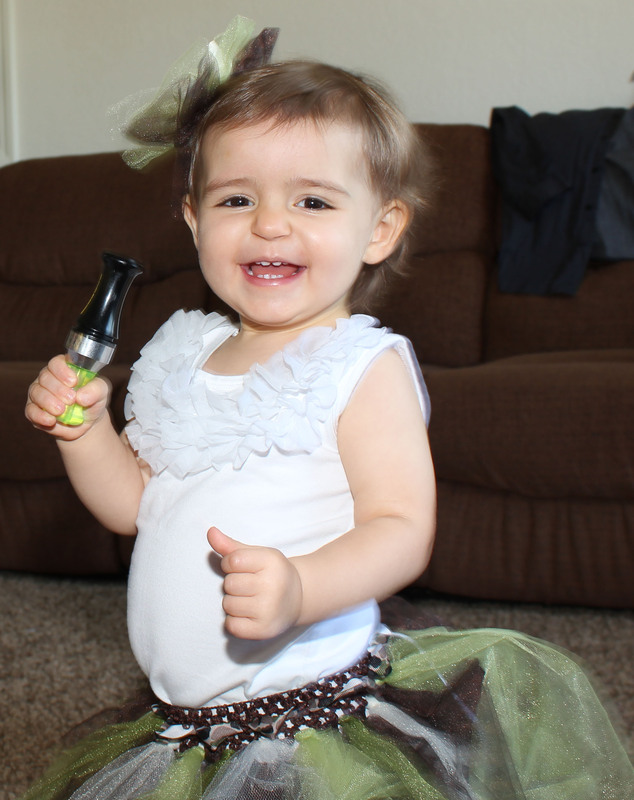 I have the world’s cutest God Daughter. No, I’m not biased, at all. I understand your need to document your half-you’s every move because I frequently post pictures of God Baby. A few weeks ago I had the opportunity to visit Best Friend, Smokey B., and God Baby for some much needed friend therapy time and to do a couple of photo shoots. Right before it was time for me to make my way back to Middle-Of-Corn, Kansas, Best Friend and I decided to do one last impromptu indoor shoot with God Baby. Best Friend and I share a brain, we can read each others minds, and have been asked several times if we are sisters, it’s a beautiful thing really. 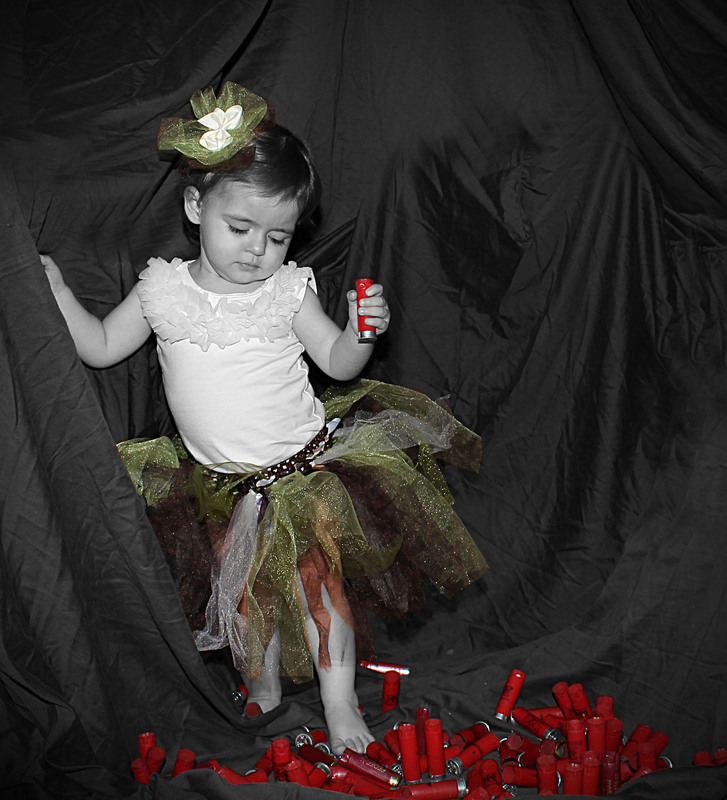 So it should come as no surprise to my readers that our impromptu photo shoot idea involved shotgun shells, camo tutu’s and bows, duck calls, and deer antlers. Smokey B. told us he didn’t mind us using his duck calls for photos, as long as we did not use this particularly expensive one in his possession. Best Friend and I felt this was pretty fair and had full intentions to leave the most precious of Smokey B.’s duck calls out of our plans. So we found a brown sheet, a corner of the living room and got to work. Well, we had to find someway to hang the sheet so the back drop would work. Bambi’s dad just happened to be hanging on the wall in that particular corner of their living room, so a few clothespin later our homemade photo back drop was successfully hanging from the antlers and ready to go. 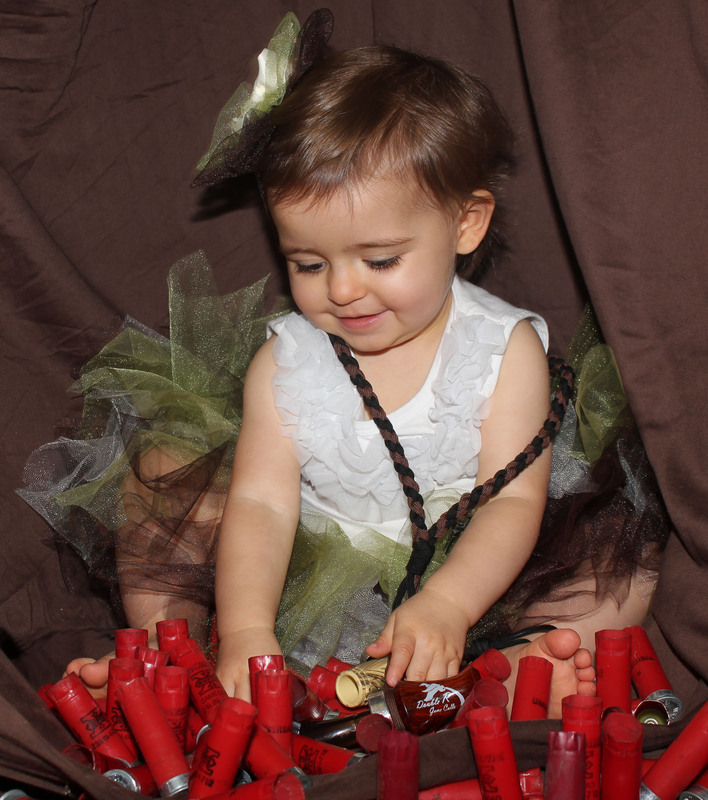 We scattered my five gallon bucket of shotgun shells along the bottom, dressed God Baby in her camo cuteness and got to work. At first God Baby loved it. This mischievous little face melts my heart. I think at first she believed mommy and Danielle had built her, her own little redneck baby play tent. A photo only Rednecks, Southerners, and Backwoods Barbies could truly love. 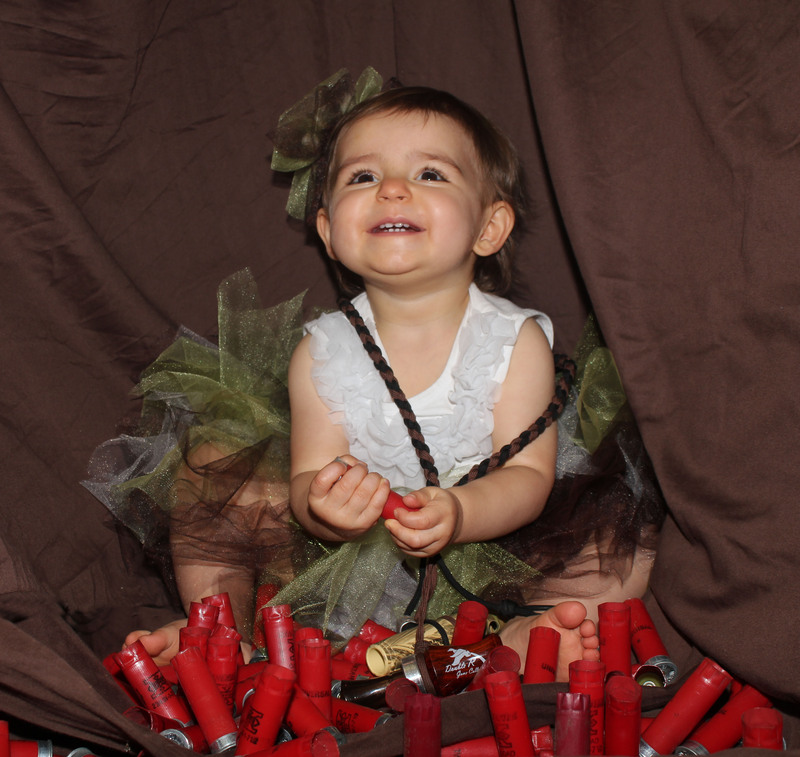 and then she discovered the strand of duck calls dangling from her neck… Well you can guess where it went from here. 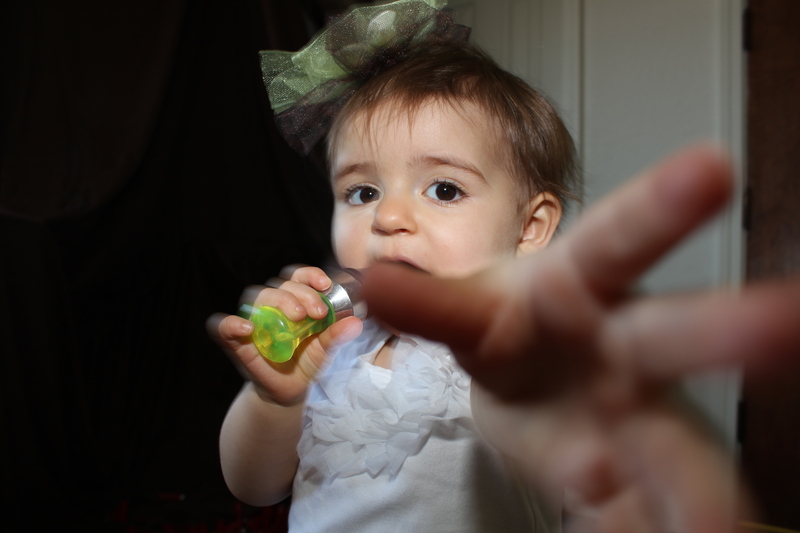 God Baby is very intelligent, and figured out on her own that you blow into these things, prompting her to leave the photo area to bring the duck calls to Best Friend and I with a look that demanded we show her exactly how they worked. Somehow showing her how they worked turned into a calling contest between Best Friend and I. Best Friend has some mad skills when it comes to calling ducks, I on the other hand still have some practice ahead of me… mine still come off sounding like ducks AFTER they’ve been shot. God Baby didn’t care, no matter what the noise sounded like coming from the calls it made her giggle and squeal in excitement. Since mommy had a call, and Danielle had a call, God Baby felt she needed one as well, and next thing we know she is proudly waving Smokey B’s. 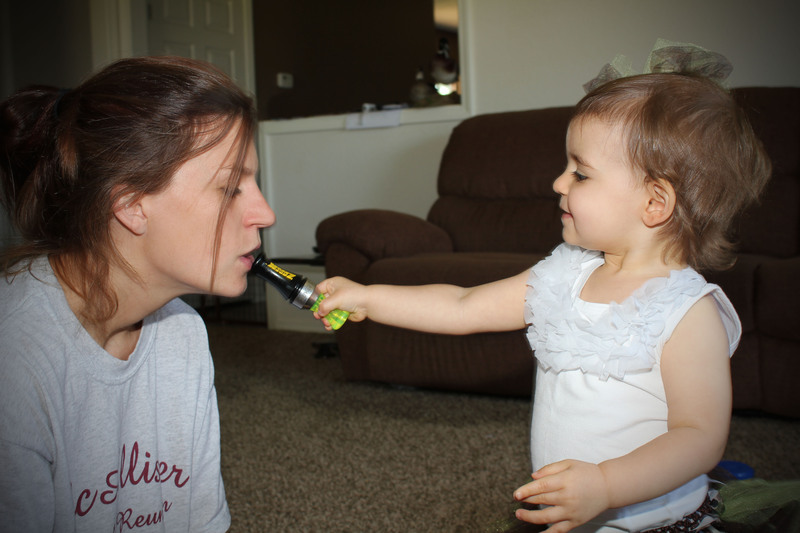 very special, very expensive duck call in her tiny hands. She was proud of herself, really proud. Okay, show me again mom. You already got the duck call, now you want my camera? I don’t think so pea pod. 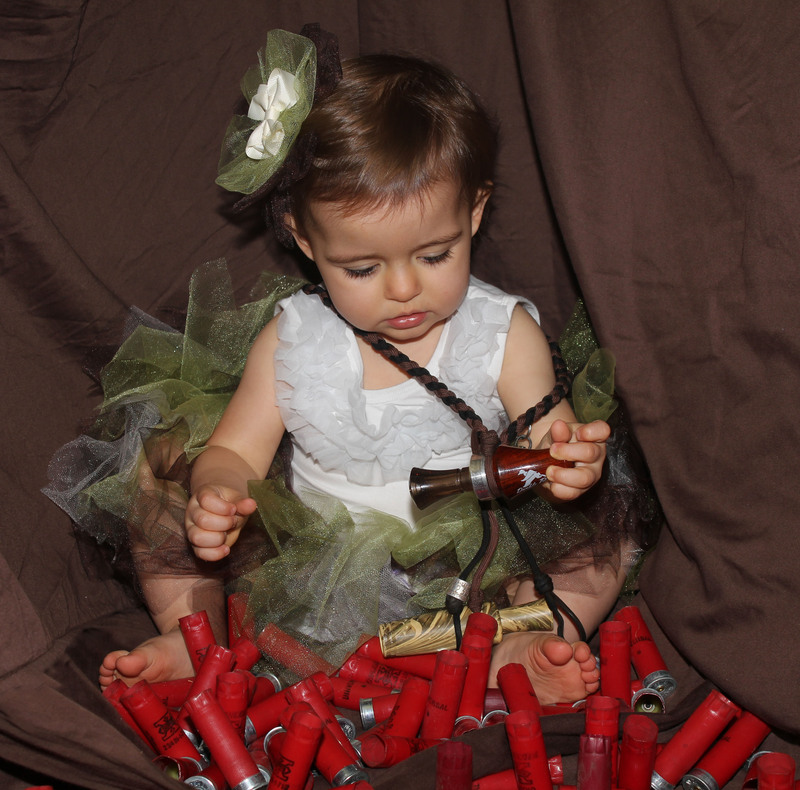 The photo shoot may not have gone exactly how Best Friend and I planned, but we were able to teach God Baby the important things in life, skills that will make her daddy proud… That is once he gets over the fact his favorite call has now been slobbered and chewed on. My favorite post so far! I feel special to have made it into your blog! Its kinda like being the local paper. Lol!